There are some things that I believe make a very big difference when baking. One of those things is farm fresh eggs. 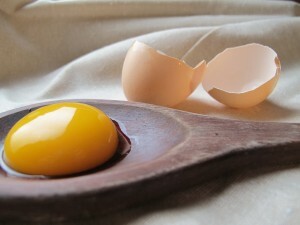 The texture, the beautiful dark yellow yolks and the way they cook up just make fresh eggs the best choice for cooking. ful fresh eggs in them. Our chickens get to free range the land, so therefore produce the best and richest yellow yolks. 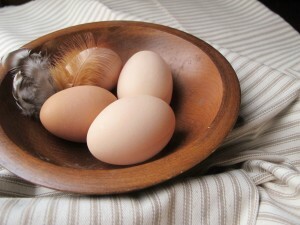 We call them our girls, and when you come to stay with us, if you like, you can feed the girls and gather the eggs too. It a fun thing to do if you are from the city and have never gathered eggs before. So just know, that when we say you are getting a hot fresh breakfast, you are getting delicious fresh eggs from our girls. Come enjoy your breakfast and our girls.